A newly elected assemblymember has introduced a bill that could make parcel taxes more attractive to school districts by allowing them to impose different tax rates on residential and commercial properties. 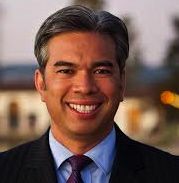 The bill, AB 59, by Assemblymember Rob Bonta, D-Oakland, would nullify a state Appeals Court ruling in December overturning an Alameda Unified School District parcel tax that levied one rate for residential and small commercial properties, and another for larger commercial properties. Bonta also represents Alameda. A product of Proposition 13, parcel taxes typically are a flat tax imposed on every real estate parcel regardless of its size or use. They are one of the few ways school districts can raise additional revenues on their own. Parcel taxes require a two-thirds majority to pass, although this year the Legislature will consider a constitutional amendment lowering the requirement to 55 percent. Assemblymember Rob Bonta represents Oakland and Alameda. higher rates for commercial properties; some have set lower rates for vacant land and distinguished between single-family and multi-residential unit properties. All of these taxes were jeopardized by the state First District Court of Appeals ruling that rejected Alameda Unified’s Measure H. Passed in 2008 and in effect for three years, it levied $120 per parcel for residential and small commercial properties, and 15 cents per square foot on commercial properties larger than 2,000 square feet, up to a cap of $9,500 per year. The appeals court said that a 1986 state statute clarifying Proposition 13 required that all parcel taxes be uniform. Districts like Alameda had interpreted the law to allow uniform rates within classes of properties. And that’s what AB 59 would do. Along with allowing “assessing taxes in accordance with rational classifications among taxpayers or types of property within the school district,” the new statute would apply retroactively to districts that already have passed parcel taxes similar to Alameda’s – and spare the Alameda Unified district several million dollars it would have had to reimburse property owners charged under Measure H. In November, five districts in Los Angeles County, including Centinela Valley Union High School District, jointly approved a parcel tax that charged 2 cents per square foot for residential properties and 7.5 cents per square foot for other classes of property. San Leandro Unified passed a measure taxing single-family, multi-family and business properties at different rates. San Francisco charges $16.10 per unit in multi-family parcels and $32.20 for single-family and nonresidential properties, while Davis Joint Unified, reflecting a college town with many apartments, charges $20 per dwelling unit and $200 for all other parcels. Because Proposition 13 prohibits imposing parcel taxes based on a property’s value, advocates see charging commercial and residential properties by the square foot or at different rates as a fairer form of a parcel tax. 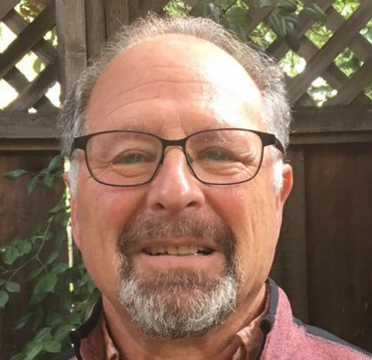 However, Loren Kaye, president of the California Foundation for Commerce and Education,* which is affiliated with the California Chamber of Commerce, said that his organization would strongly oppose AB 59 as imposing discriminatory taxes. In December, the Alameda Unified School Board voted to appeal the case to the state Supreme Court. Passage of AB 59 would preempt the court process, which could take more than a year. AB 59 would require only a majority vote in the Legislature. SCA 3, sponsored by Sen. Mark Leno, lowering the threshold for districts to pass a parcel tax to 55 percent, would require a two-thirds vote because it’s a constitutional amendment. As a change to Proposition 13, it would be one of the first big tests of the power of the new Democratic supermajority in the Legislature. If approved, it would require voter approval on the November 2014 election ballot. *Kaye also serves on the EdSource board of directors.